The Asia region continues to lead the field in terms of trends for high-density living and construction of tall buildings and Manntech is at the ready. According to the Council on Tall Buildings and Urban Habitat (CTBUH) report, Asia accounted for over three quarters (75.7%) of all new buildings reaching 200m and up. As well as completing the most new buildings over 200m, Asia also leads the pack in terms of the world’s tallest buildings, being home to 54 of the 100 tallest buildings in the world. The tallest building project completed during 2017, Ping An Financial Centre, is also located in Asia. Looking beyond the sheer number of skyscrapers being constructed, and the hugely ambitious heights they often achieve, experts and commentators on architecture have also been closely following the more artistic and visionary trends in Asian construction projects. They have highlighted how the imposing scale of many modern Asian buildings is balanced by a design aesthetic informed by the rich cultural history of the region to create a beguiling mixture of modern and ancient. The most people-focussed architects working in the region are also combining technically ground-breaking constructions with a real and deep consideration for how residents, tenants, visitors and the general public will interact with their buildings. Making this human element a cornerstone of the design process is seen as a vital aspect of ensuring ongoing success and a finished building that provides a welcoming, vibrant and productive environment. 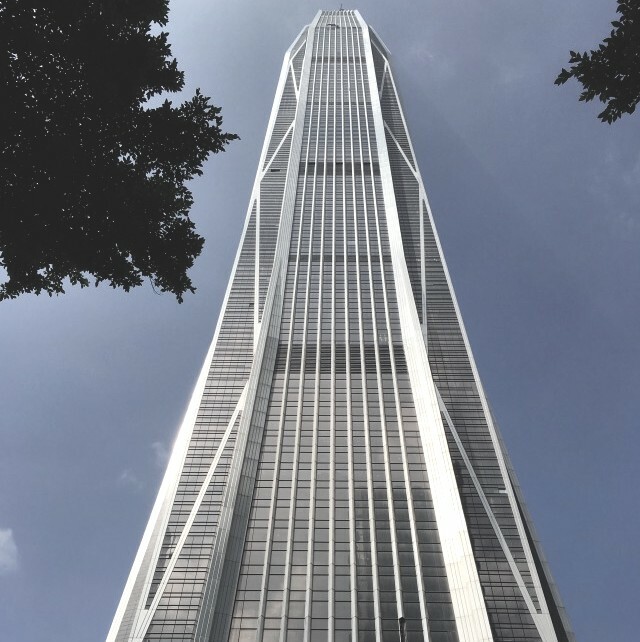 Highlighted by CTBUH as the tallest building to complete in 2017, the mega-tall Ping An Finance Centre by Kohn Pedersen Fox Associates reaches 599 meters in height. This makes it the second-tallest building in China, and the fourth-tallest building in the world. 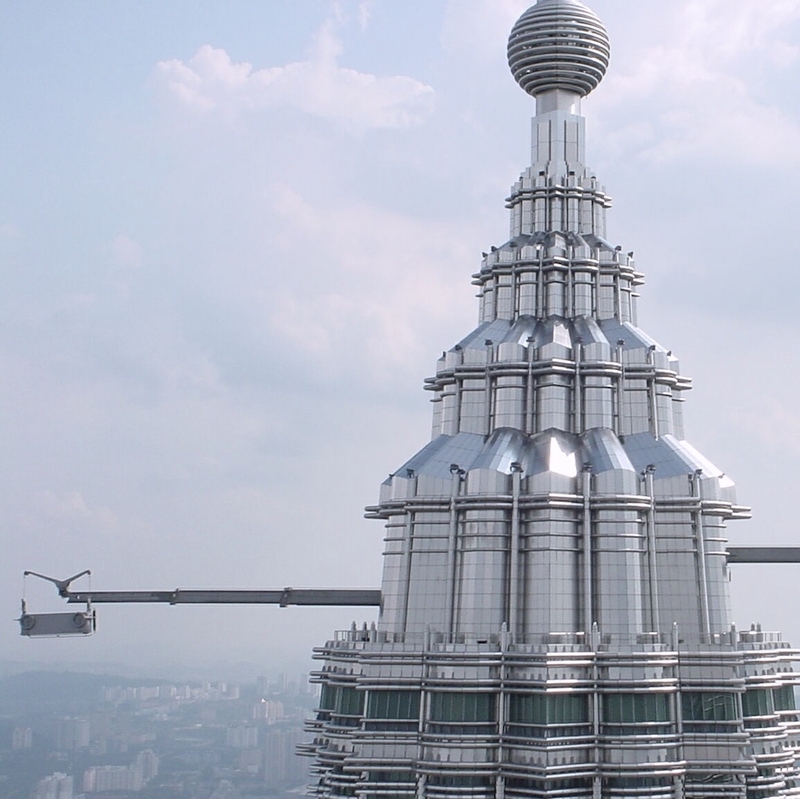 The facade also represents a world-leading achievement in terms of scale, with 1,700 tons of 316L stainless steel making it the largest stainless steel facade in the world. This material was chosen for its corrosion-resistance, which will keep the appearance of the building unchanged for several decades despite Shenzhen’s salty coastal atmosphere. This careful consideration of materials and design that will serve the ongoing life of the building also extends into the human element, with a succession of architectural elements such as arches and cantilevers that ensure its massive height does not tower too imposingly over people at street level. Again, this building by Kohn Pedersen Fox Associates takes its place among the highest buildings in the world. At 555 metres, it is recognised as the tallest in Korea, the tallest building in any of the 35 member countries of the OECD, and the fifth tallest building worldwide. 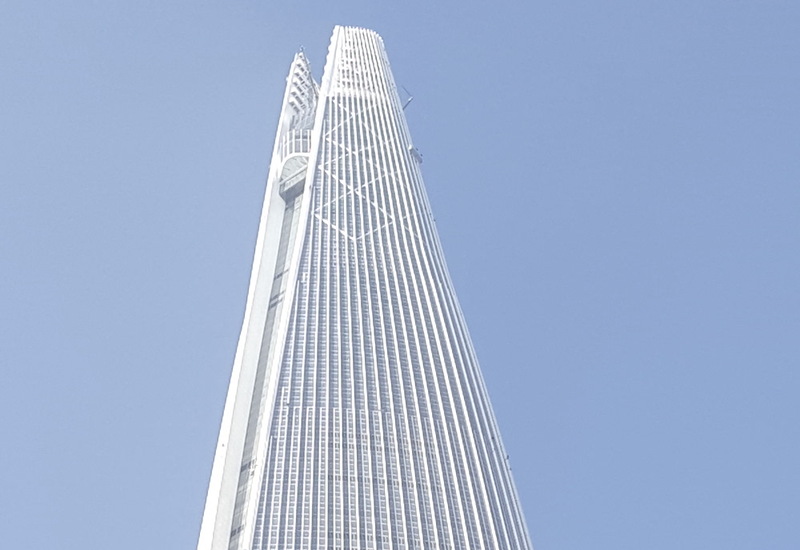 Lotte World Tower has also been recognised as a pioneering example of a “vertical village”, combining a great variety of functions in a single building. Elegance of form was one of the prime objectives, and stakeholders were determined to make the tower a beautiful monument in the capital city skyline.The design combines a modern aesthetic with forms inspired by Korean ceramics, porcelain, and calligraphy. Its curved lines, for instance, pay homage to traditional Celadon vases. An exterior of pale-coloured glass also draws inspiration from Korean ceramics and features accents of metal filigree. For the time being, construction in Asia seems set to continue dominating the rest of the world in terms of the number of skyscrapers being completed and the scale of the buildings. The story goes well beyond numbers and statistics, however, and imaginative and innovative design aesthetics also bring the rich cultural history and the people of the region themselves into the picture to form a key part of modern architecture in Asia.